Isn’t time you elevate your wardrobe with a touch of sophisticated style? These gentleman’s brown button end suspenders can do just that. 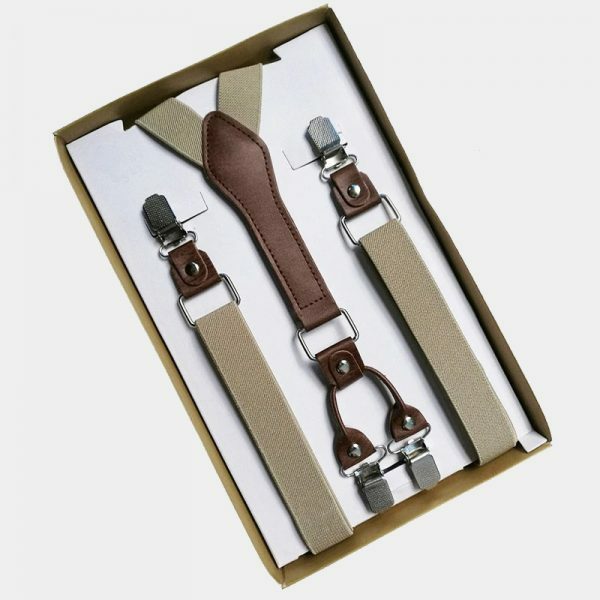 Handcrafted by experts, these classy suspenders are a must-have item for any gentleman’s wardrobe. 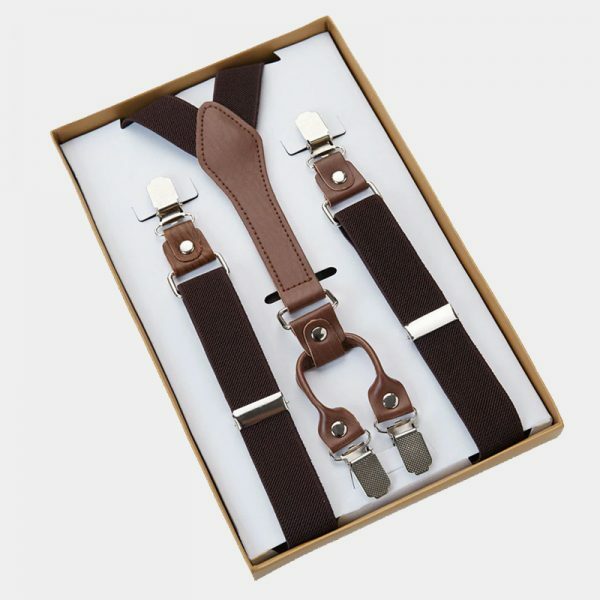 These attractive brown button end suspenders look amazing all your business or casual attire. But that’s not all. They also make an alluring addition to your wedding or special occasion formal wear. 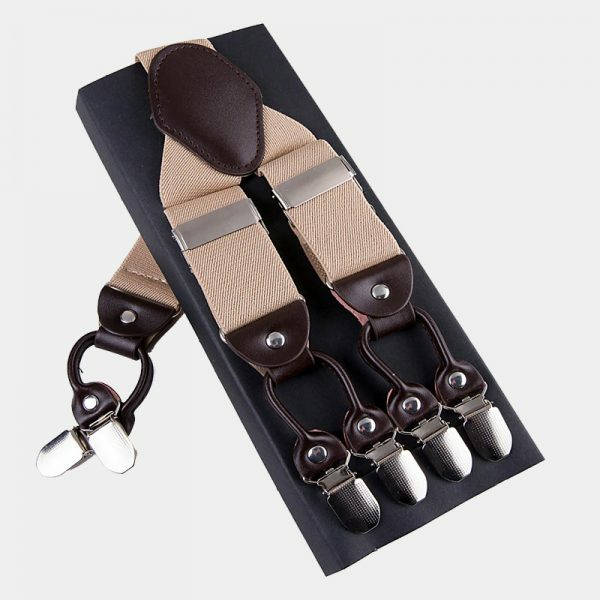 These exceptional button end suspenders are made using high-quality materials. The comfortable and strong brown spandex keeps its shape even after repeated use. The soft and flexible 100% genuine leather attachments make sure your pants stay where you want them. These top-notch accessories also have durable and highly polished metal hardware. In addition, both the leather bindings and the clips are completely removable. 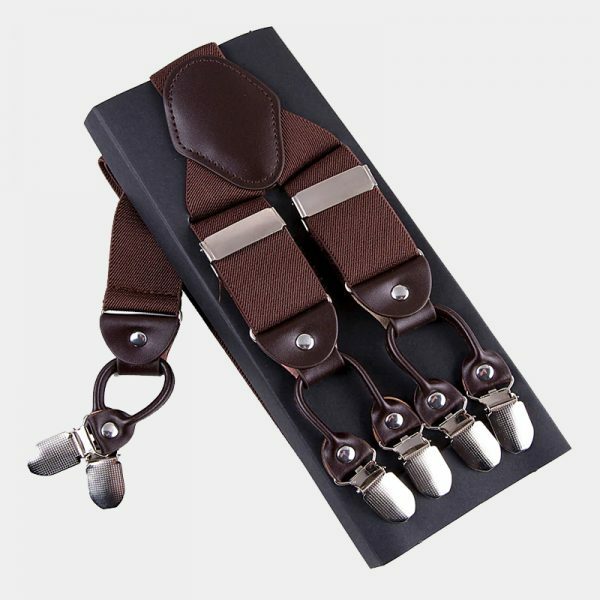 If you are ready for something new, give your belt a break and try these gentleman’s brown button end suspenders.